It isn’t easy to make ends meet on a farm, and even more so when your family boasts eight members. When Ole Red is ailing and needs major repairs, Dad announces at breakfast that they’ll need to take on an additional crop of burley tobacco in a neighbor’s field…as if their Shady Meadows farm isn’t enough work already. Third to last-born Sean gives his dad a vote of confidence: “Taking on another crop won’t be a problem.” But everyone else in the family stares at him like he’s on fire…. but family, faith, and hard work mean everything. 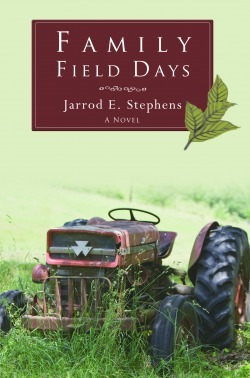 Click on the book image to access my OakTara Book Page and watch my trailer for Family Field Days.